I, personally as well as on behalf of the Kashag, extend my heartiest greetings and wish a happy Tibetan new year (Losar 2146 – Year of the Earth Pig) to our deeply revered spiritual leader His Holiness the Dalai Lama, heads of the four schools of Tibetan Buddhism and Bon tradition, Tibetans living inside and outside Tibet, the people and government of India, and friends of Tibet from all over the world. This year marks the 60 years of Tibetans taking refuge in exile in India and also the 60th anniversary of Tibet’s brutal occupation by the Chinese communist forces. However, due to the visionary leadership of His Holiness the Dalai Lama and the indomitable spirit of the Tibetan brothers and sisters inside Tibet, the Tibetan freedom movement has sustained and persisted; the Tibetan diaspora continues to move forward as people at par with rest of the world. Since this year is considered as the portentous critical year (Tib: དགུང་ཀེག) of His Holiness the Dalai Lama, Central Tibetan Administration urges all Tibetans to observe prayers throughout this year for His Holiness the Dalai Lama’s long and healthy life. Last month in the holy land of Bodh Gaya, the Central Tibetan Administration observed a long life prayer offering (Tib: Tenshug) for the pacification of all obstacles of this 84th year of His Holiness the Dalai Lama and for the fulfillment of all his benevolent wishes. As per our fervent prayers and wishes, His Holiness the Dalai Lama reaffirmed to live for more than a hundred years. Hence, as we celebrate this momentous occasion, we should earnestly commit to fulfilling the sacred aspirations of His Holiness the Dalai Lama, heed his advice on preserving Tibetan identity based on our religion and culture and observe the unity of three provinces. 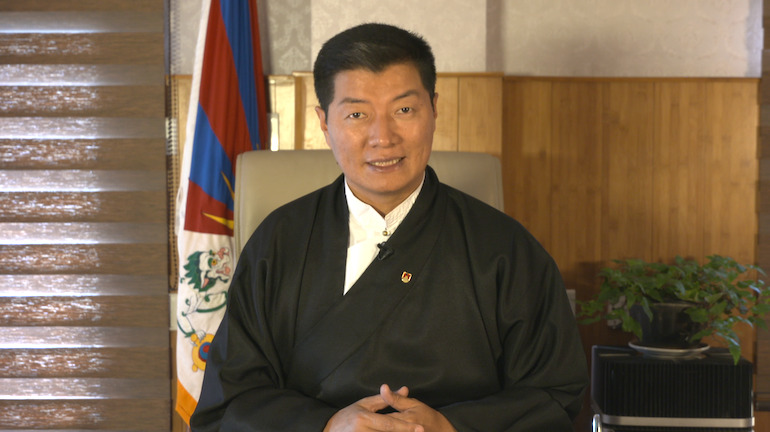 In conclusion, I offer my profound prayers for the long life of His Holiness the Dalai Lama and urge fellow Tibetans to offer special prayers for overcoming this portentous year. May all sacred aspirations of His Holiness the Dalai Lama come to fruition, May the joyous reunification of Tibetans inside and outside Tibet be realised soon. I once again wish you an auspicious Tibetan new year (Losar).